This low carb pizza muffins recipe with zucchini is so easy to make. They make perfectly portable zucchini pizza bites for healthy snacks, appetizers, even breakfast or lunch. 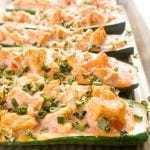 If you are a zucchini lover, you should be very excited right now because I’m about to shower you with low carb zucchini recipes! 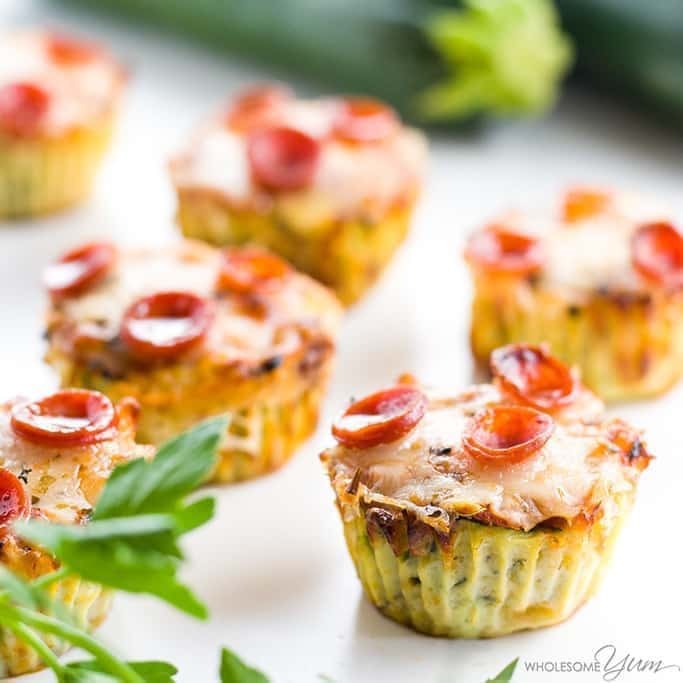 Let’s start with this low carb pizza muffins recipe. We are celebrating one of my favorite times of year today: Zucchini Season! I love zucchini so much that I’ve been planning for it for weeks. True story. You’ll get to enjoy my favorite pizza muffins recipe, a delicious au gratin casserole, and more… all made low carb thanks to zucchini! 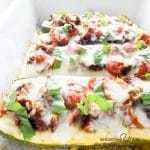 The only problem with this week is deciding which low carb zucchini recipes to feature on the blog. These baked keto zucchini fries are super popular! There are just so many yummy options, but I’ve narrowed it down to my favorite five for you. Zucchini pizza bites are most commonly served as a starter (and indeed, they make a great low carb appetizer idea), but they don’t have to be. I’ve enjoyed these easy pizza muffins for lunch many time before! They are delicious, filling, and easy to have ready in advance. That makes them ideal for on-the-go snacks or a quick meal. That was the primary reason to turn them into mini low carb pizza muffins in the first place. One of the more common ways to make baked zucchini pizza bites in the oven is to simply slice zucchini, add oil and seasoning, roast, add pizza toppings, and roast a little longer. Basically, that method shares similarities with how to make eggplant pizzas. However, this pizza muffins recipe is a little bit different. This recipe is easily made ahead and taken along with you. Making mini meals in muffin pans has always worked out well in my experience. 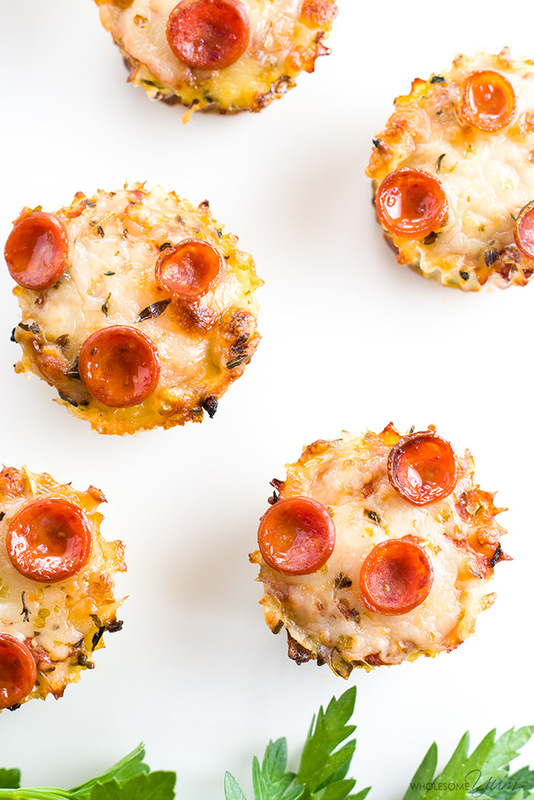 These alternative zucchini pepperoni pizza muffins were a great way to use my mini muffin pan! I lined it with parchment paper cups for no-mess cleanup. So what does this pizza muffins recipe call for? As you can see, there is just a small amount of coconut flour needed to make these mini pizza muffins. I really don’t recommend replacing that with another flour, because its main purpose is to absorb moisture and no flour does that as well as coconut flour. The coconut flour is a great addition, because it means you won’t have to squeeze the moisture out of the zucchini (which is really kind of a pain, so yaaaay for an easy keto pizza bites recipe). Pepperoni pizza is by far my favorite (I usually make it on fathead pizza crust or sometimes cauliflower pizza crust) which is why this recipe is for pepperoni pizza muffins. I use mini pepperonis here, but if you can only find bigger ones, just cut them into smaller pieces. Don’t be afraid to unleash your creative side! Ultimately, this is your pizza muffins recipe and you can make sausage pizza, veggie pizza, 4-cheese pizza, or anything else you’d like. The sky is the limit here, friends! This recipe calls for 2 medium zucchini, which is about 2 cups once it’s shredded. That’s 2 cups loose in the measuring cup, not pushed down… so use a gentle hand or they’ll be way too watery. The coconut flour is there to make this an easy low carb pizza muffins recipe where you don’t have to worry too much about all the extra liquid. That means if your batter is watery even after the tip above, you can add a little more coconut flour to thicken it up. Your mixture should be fairly thick. A little coconut flour goes a long way, so if you need to add more, add only a teaspoon at a time, stir, and wait a couple minutes for it to thicken. Really… don’t rush this part! You don’t want soggy pizza muffins, but you don’t want super dry ones, either. When you’re making traditional keto muffins, everyone loves the rounded muffin top. However, with low carb pizza muffins, you want to flatten the top. This ensures that the sauce and toppings stay on afterward. No one wants to have their pepperoni sliding off their keto pizza bites. That would be utterly tragic. If you fill the muffin cups too much, you’ll have too much muffin for the amount of toppings you can fit on them. Just distribute your zucchini batter evenly among 20 cups and you’ll be just right (hint: that’s about half way full). This pizza muffins recipe is a good one to make ahead. They’ll keep in the fridge up to a week and even be good straight out of the freezer. If you freeze them, make sure to bake them first. Then, when you take them out to thaw, you can add your toppings and bake to eat. It’ll be like having your own mini low carb personal pan pizza crusts ready and waiting for you. So how will you customize this pizza muffins recipe? Are you a meat lovers kind of a person or are you all about the veggies? Perhaps you’ll make a variety and eat one of each! Leave a comment and let me know your favorite kind of keto pizza toppings. Preheat the oven to 375 degrees F (191 degrees C). Line 20 cups of a mini muffin pan with parchment or silicone liners. In a large bowl, stir together the shredded zucchini, shredded mozzarella, coconut flour, sea salt, and black pepper. Stir in the eggs and melted butter. Transfer the zucchini mixture evenly into the lined muffin cups, packing down and making sure the top is flat. Bake for 18-22 minutes, until the top is golden and firm. If the bites puffed up like muffins, let them cool for a few minutes to flatten out again. Spoon a teaspoon of marinara sauce onto each zucchini bite, then top with remaining mozzarella cheese. Sprinkle with Italian seasoning. Add pepperoni slices. Place under the broiler for 2-3 minutes, until the cheese is melted and golden. Nutrition info will vary slightly depending on what marinara sauce you use. Maya, This recipe is fantastic. I probably used a little more zucchini than one and a third cups. But upped everything else proportionally. I didn’t have mini-muffin tins, so used a standard 12 muffin tin. It made pretty much normal muffins ,(had to increase the time in the oven though since they were larger). Since they were about an inch and a half tall we cut them in half (across the middle) and made 24 halves; then we put the sauce, cheese, sausage and italian seasoning on. Into the broiler. Perfect. About four or five bites, easy to eat by hand. Thanks so much for your efforts on our behalf. Thank you so much, Fred! I’m glad you liked the pizza muffins – and as you found, they are fairly flexible with the exact amount of zucchini used. You have 2 and 3 bites listed per serving… please clarify. TYVM. One serving is 2 zucchini bites. Thank you! Hi Olga, I usually use a food processor with a grater blade but a box grater also works! 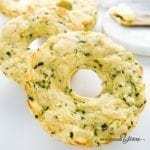 I have had very good results with putting sliced zucchini in my food dehydrator for an hour or two, on high heat. I then use it in casseroles without the hassle of salt, drain, press or watery dishes. 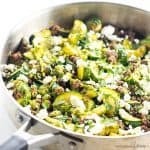 I’ve never tried it with grated zucchini, but I think I will for this recipe! I’ll rate the recipe and give a follow up after I try it. That sounds delicious, Jo! Thanks for stopping by! Hello, I just finished making this and followed the recipe exactly. The zucchini base is really mushy and does not hold together at all. Any suggestions? Hi Tina, Sorry you had issues with them! It’s hard to say what happened without being in the kitchen with you. Maybe your zucchini was larger than mine? Going forward I will be listing more precise amounts to help with this. You could try it with smaller zucchini, or try squeezing the shredded zucchini a little to get rid of extra moisture. I didn’t find the need to do that since coconut flour is so absorbent, but if the zucchini is too large, it would probably be too much water. So adorable and a great way to use up all that excess zucchini! Love it! We have a new favorite pizza crust! I used my Pampered Chef bar pan (14 * 10 inch aprox). Brushed lightly with coconut oil, spread the crust mixture out (maybe an inch shy of covering the entire pan) and baked for 25 minutes. Put toppings on and put under broiler for 3 minutes. It was a little “sticky” but a flat spatula worked great. Not pizza you can pick up and eat, but happy to use a fork to have pizza without the wheat. Thanks!!! Thank you, Brooke! I’m glad it worked! Would this work to spread thinly on a pizza stone as the “crust”? We love the flavors!!! Hi Brooke, What a great idea! I haven’t tried that, but it should work. I’m not sure if it would stick or if you’d need to line it with parchment paper. Let me know how it goes if you try it! Everyone’s idea of “medium size” is different. Approximately how many cups of shredded zucchini would this recipe need? Love all your recipes. My husband and I are new to this type of diet and your posts by far are the best I have found. Thanks for all the work you do and sharing your experiences. It is indeed very helpful. Hi Darlene, It’s about 2/3 cup shredded zucchini per medium zucchini, or 1 1/3 cup for the whole recipe. This one is pretty flexible, so should work fine if your zucchini comes out to a little more or less than that. Thank you so much – I’m glad you’re enjoying the recipes! I’m allergic to coconut…can I use almond flour instead? Hi Amy, I haven’t tried them with almond flour. It should probably work, but you’d need some changes. Since coconut flour is much more absorbent, I’d double the almond flour (compared to the coconut flour amount) and also squeeze the shredded zucchini to drain extra moisture prior to mixing it in. Let me know how it goes if you try it!